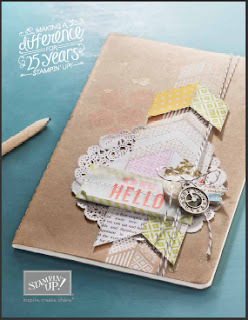 Craftin' Caro: Spring Mini Catalogue is here! Spring Mini Catalogue is here! Have you seen the fabulous new Spring 2013 mini catalogue yet? There are some truly remarkable stamp sets, papers and accessories to tickle anyone's fancy, so be sure to take a look at the catalogue offerings either in .PDF format or else through my Online Store. You'll find that ordering our coordinated products in bundles will help save you $$! BTW, Sale-A-Bration continues in full swing so you can still earn free rewards for every $60 you order :) Happy shopping!